109 Saddletree Road – Lincolnton, NC Bedrooms: 7 Full Bathrooms: 6 Half Bathrooms: 2 Square Feet: 6,100-7,200 Lot Size: 23.40 Acres Truly an amazing home! Best known as “The Old Burris Home” and has been renovated since. 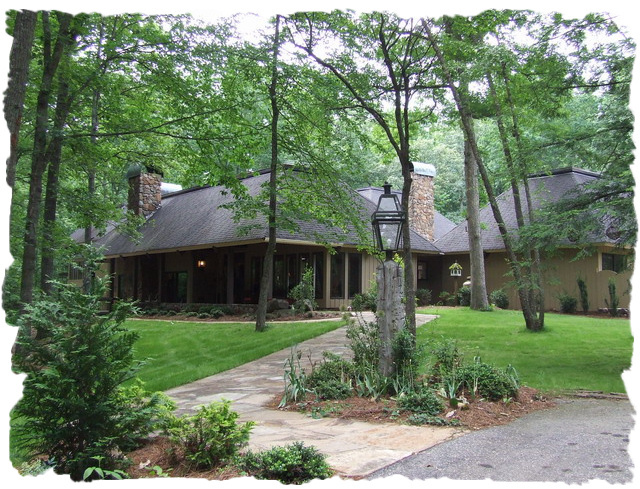 Home has lots of character and reminds you of a Frank Lloyd Wright styled home. Reclaimed wood beams & trusses accentuate the high ceilings, 4 stone fireplaces, and a flagstone floor throughout home. Private and romantic owner’s suite featuring fireplace, beamed ceiling, sun deck, and his and her bathrooms. If that doesn’t grab your attention, there is also a tennis court and beautiful in-ground swimming pool with pool house. Fabulous find and a must see! Pictures do not do this home justice. Contact us today to own a part of Lincolnton’s history! Some properties that appear for sale on this website may subsequently have been sold and may no longer be available. This entry was posted in Buyers, Lee Ann Miller Team, Lee Ann Miller Team Listings, Lincoln County - NC, Lincolnton - NC, North Carolina, Real Estate - Buyers, Real Estate - Sellers, Relocation and tagged Buyers, Lee Ann Miller Team, Lincoln County - NC, North Carolina, Old Burris Home, Real Estate - Buyers, Real Estate - Sellers, Relocation by Lee Ann Miller. Bookmark the permalink.